MISSING SENIOR LOCATED: William Sullivan MW 88 was located and returned home. William Sullivan was located and returned home safely...thanks for the assistance. William Sullivan signed out of his retirement home at 3PM Sunday afternoon and has not returned. Mr. Sullivan suffers from dementia and requires daily medication. 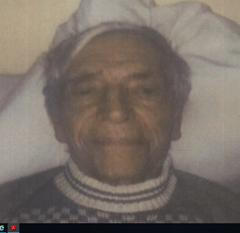 He is 5-07 145 lbs, blue eyes and grey hair. Please call the Pasadena Police at (626) 744-4241 with any information.